Steiff Arco Polar Bear Discounts Apply ! 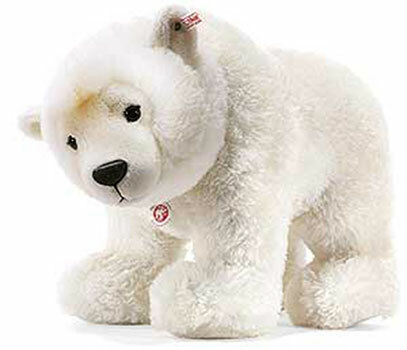 Arco Polar Bear is hand-made of the finest softest dense polar white alpaca. a very rare bear now . 1-way jointed with Safety Eyes, and with gold-plated "Button in Ear" and Surface Washable. This Bear is part of Steiff's Retired Exclusive range.